“I know of no other organisation like ADM in the world, so it’s worth coming halfway around the world to be here,” said Rev. Canon Dr. Alison Milbank who travelled from the University of Nottingham in England for her first trip to Australia. Associate Professor Milbank spoke at a plenary event about the importance of literature and imagination for engaging our culture with the gospel, and also taught a two part masterclass on literature and theology. Katelyn Beaty, Christianity Today’s first and youngest female managing editor and the author of A Woman’s Place: A Christian Vision for Your Calling in the Office, the Home, and the World, led several sold-out masterclasses on writing, editing and publishing. Rev. Dr. Brian Rosner, principal of Ridley College, Melbourne, and Rev. Dr. Bill Salier, Principal of Youthworks College, Sydney, explored the theology of personal identity and character formation respectively. 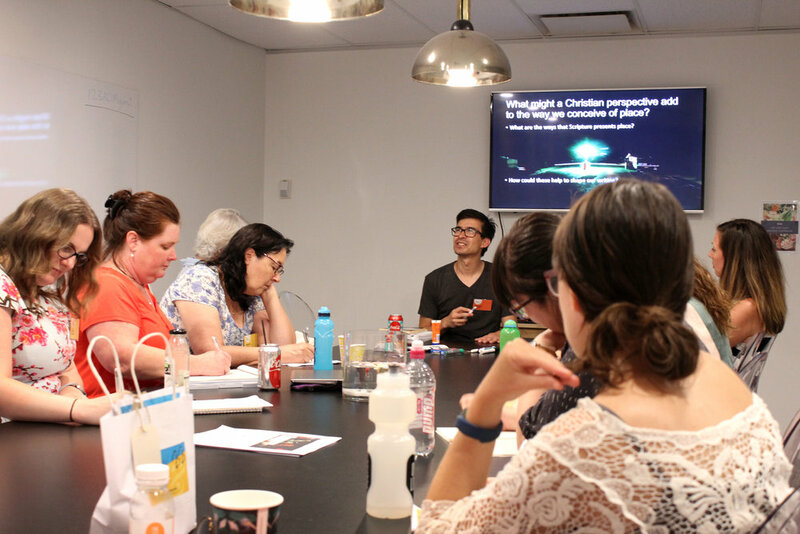 Natasha Moore and Justine Toh, both Senior Research Fellows at the Centre for Public Christianity in Sydney, offered workshops on writing for the media and Christianity in the public sphere. “As emotional, created beings we also want to be happy,” said Rev. Dr. Kirsten Birkett, 2018 ADM Senior Research Fellow and Lecturer in ethics and philosophy at Oak Hill Theological College, London. Birkett joined Millbank and Beaty in teaching 46 teenagers in ADM’s inaugural Girls Do Theology event, and then also taught a two-part STCPE masterclass. “The Bible speaks about joy and rejoicing repeatedly, but is that the same as being happy?” Dr. Birkett’s research and essay from her talks on happiness was published recently in Eternity. With other masterclass topics including astrophysics, music and palliative care, creative writing, communicating the gospel, Aboriginal history and the church, hermeneutics, maturity for leadership and sensory experience in the gospels, participants gained new insights and developed practical skills for enhancing their public witness. ADM CEO Dr. Kate Harrison Brennan chaired a sold-out panel discussion on developing a Christian vision for politics. 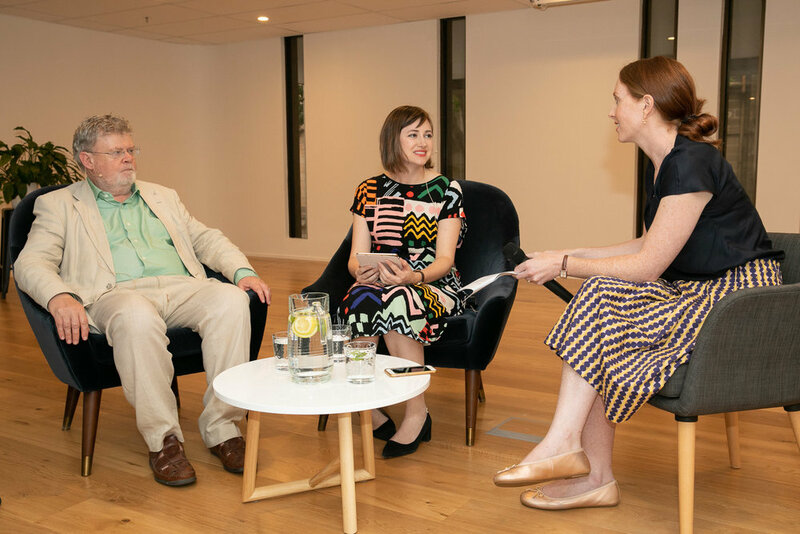 Katelyn Beaty, who has written on U.S. politics for The Washington Post, and Professor John Milbank, a leading theologian from the U.K. who also led a two-part STCPE masterclass on political theology and post-liberalism, joined Harrison Brennan for the discussion. Both Beaty and Milbank agreed that the responsibility falls to the church to build bridges. “There’s much more to fulfilling our cultural mandate than which political party we support. Ours is a prophetic role and we need to link politics with ecclesiology,” Milbank said. Links to Christian faith in a variety of fields, in fact, were the consistent themes throughout the three-day school. 36 percent of those surveyed said it was their first ADM event, and 92 percent of those in attendance rated the STCPE “excellent” or “very good”. Dr. Annette Pierdziwol, ADM Director of Public Engagement who oversees the summer school, sees the positive response as testimony to the event’s effectiveness. 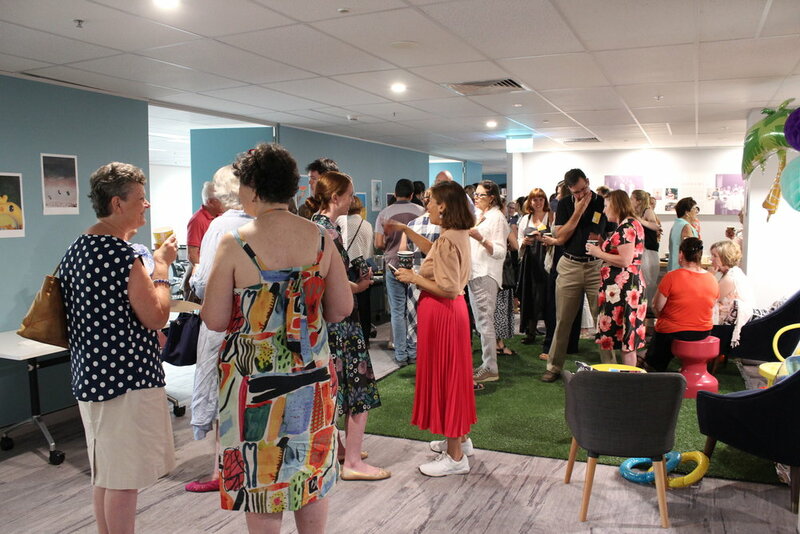 “We want to create space in a busy city for theological reflection on the ideas shaping our culture – to host a materially and intellectually hospitable space that brings together people from a variety of backgrounds,” she said. “It’s wonderful to see so many attendees staying back even after classes had finished, completely immersed in discussion with one another.